Le Mans 24hr sportscar race in France and his presentations are always insightful and entertaining . The meeting will start at 7.30pm. Don't forget this Monday 9th July will be the first of our Lightroom sessions run by Mark. Don't spend hours and $$$ trolling the web for advice when all you need to know is right here at your friendly Pittwater Camera Club. If you are wanting to get in to Lightroom for editing , filing or just want to know what it is all about , come along at 7.30 pm in the auditorium. Tuesday 7th August is our annual Interclub competition night with Hornsby Heights Camera Club. If you have any Prints that have scored 12 or higher in any competitions since last September, please bring them along to our next meeting or any of our next 2 Lightroom sessions or give them to Bill . The more images our Selection Committee has to choose from the better our chances are of winning.
" 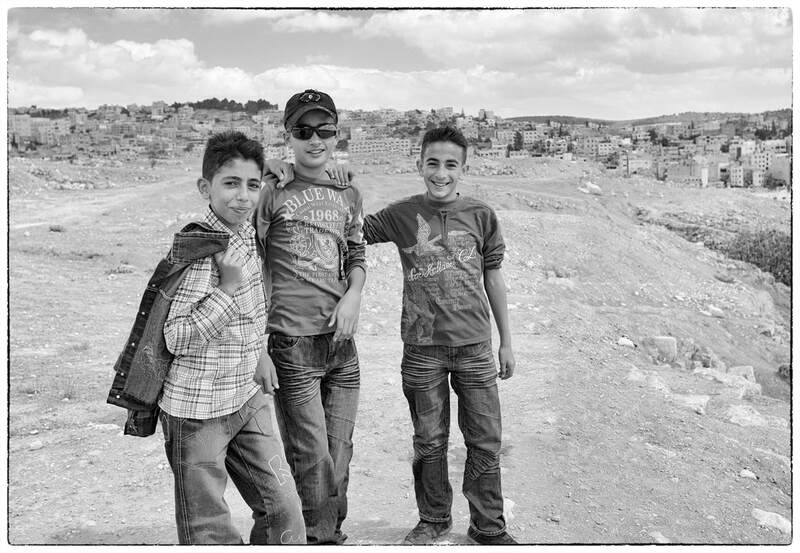 There is a vast difference between taking a picture and making a photograph "
Although a late night , I hope everyone who entered images in our last competition "Photojournalism" found Ali's interactive style of critiquing our images to be an informative and educational evening. PLEASE ensure your digital images are TITLED and include your FULL NAME as per the instructions on our website. Use only lower case characters with no spaces. Use underscore in place of spaces. All digital images are to be sent to entries@pittwatercameraclub.org no later than 8.00pm on Sunday night (the day before the competition). Pamela will be holding another workshop on 28th July titled "Winter - Dare to Create" compositing workshop. Designed for those with a basic understanding of Photoshop but would like to learn more about creating photographic artworks through compositing, using adjustment layers , textures and brushes. The workshop will be held on Saturday , 28th July - 1:00 pm to 5:00 pm. NIK Collection 2018 information in the attached link will be of interest to those who use this popular software. It is coming around to the time of year to get out at night for some astral photography and the Milky Way. 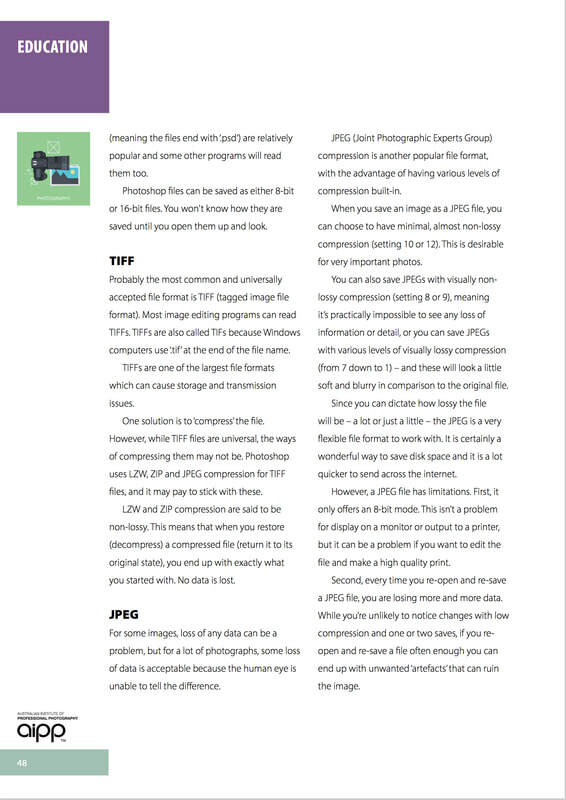 To get you started, have a look at the attached link from Aaron Dowling which gives a complete run down on how to get the best from your images. Also for information on how to edit your images using luminosity masks Aaron has put together tutorials using his ADP PRO c3 Luminosity Mask Panel. 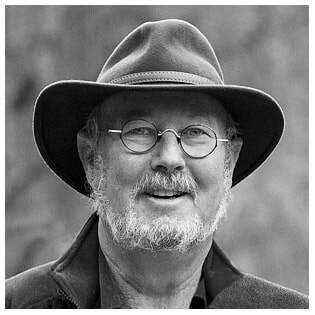 Peter Eastway is running a series of interactive evenings of photography, inspiration and dialogue. There are 5 evenings spread out over 5 months with each evening containing completely different material. The cost is $9.95 per session and they will be held at Dee Why RSL Club. 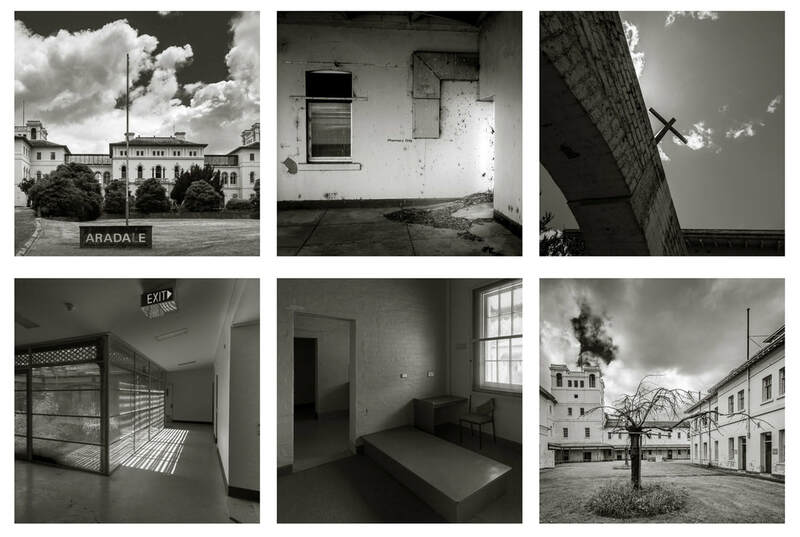 The Sydney International Exhibition of Photography with a closing date of 27th August 2018 is a digital photographic competition which grows every year and is entered by photographers from around the world. It is a wonderful way to gauge your work on a world stage and to support an Australian initiative. For those wishing to improve their image making skills and learn from an awarded professional, Adam has 24 free tips on how to make your photographs truly awesome. Go to his website to find out more. Alan Purnell has forwarded the following information for an informative newsletter he receives from Mark Rayner. 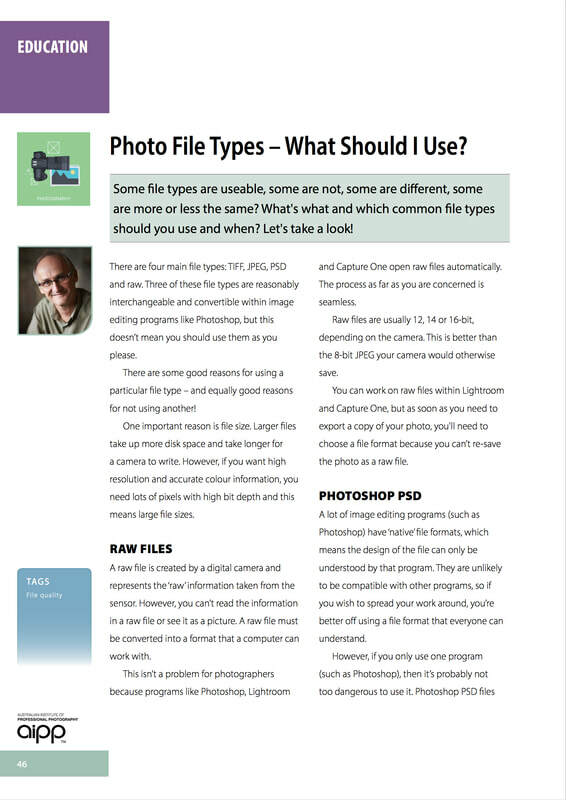 It may be worth subscribing to as there are many useful bits and pieces for all levels of photographers. 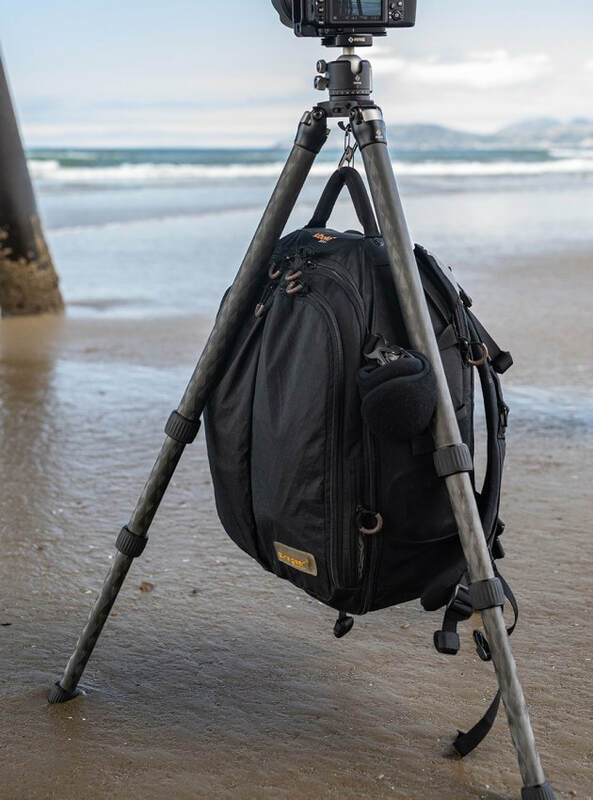 Tripod and camera accessory manufacturer Really Right Stuff have revamped all 17 of its tripods promising to offer better components and a number of changes from top to bottom. A major addition is the inclusion of multiple 1/4" sockets at the base of the tripod for adding accessories such as a carry strap or phone mount. Useful in windy conditions , all 17 Really Right Stuff tripods will now feature an added weight hook on the underside , which can also be used as a convenient place to hang a camera bag . For 14 years, the Australian Life photography prize has been a platform to showcase the many experiences, places and faces of life in Australia. 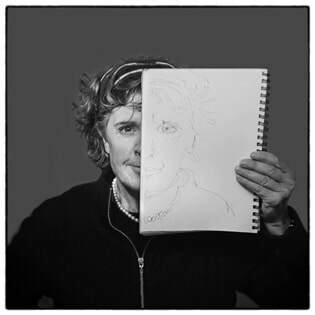 Art & About Sydney is once again, inviting Australian photographers to submit their images representing Australian Life. The City of Sydney are inviting photographers of all experience levels to submit their best images for our entry into our annual Australian Life and Little Sydney Lives photo prizes. We are accepting entries during the month of July. Winning photos will get a cash prize and nationwide exposure. Amy Jean Harding, ‘Beryl and Jesus’, Australian Life 2017 Winner. Les Walkling, Mike Langford and Jackie Ranken in the Daintree. Daintree 2018 is a contemporary photography workshop for anyone who is wondering ‘how do I get to the next level’? That is, how do I progress beyond merely beautiful images and prints, beyond the mastery of camera craft and production skills, workflows, clients, and competitions to develop and infuse my work with more meaning, significance and purpose? This year my two co-presenters are Jackie Ranken and Mike Langford. The venue is James Cook University’s world class Daintree Rainforest Observatory (DRO) education and research centre at Cape Tribulation in far North Queensland. 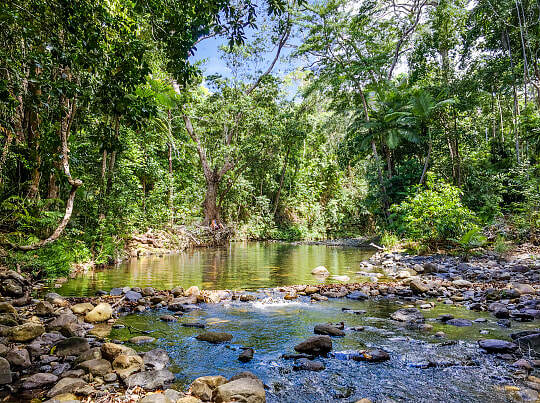 It is adjacent to Australia’s World Heritage listed wet tropics lowland rainforests which are home to a substantial proportion of Australia’s biodiversity. This is also one of the few areas in the world where the ‘reef meets the rainforest’ and the only place where two World Heritage Areas sit side by side. The modern teaching and conference facilities are designed with student-centred learning and inquiry-focused practice in mind. The open design and flexible spaces create many vistas where one can look up to rainforest-clad mountains or down over sweeping views to the Coral Sea. With brand new accommodation and catering infrastructure, well-equipped laboratories and a tower crane providing canopy access to nearly 1 hectare of rainforest, the DRO provides an unforgettable hands-on experience in a unique and inspirational environment. The workshop begins with a thorough analysis of your individual workflow which we then refine and polish from capture to print. This ensures your workflow is ‘working’ so well that you are not distracted by it. We can then focus on ’what comes next’ – and how to take your photography there. Guidance, inspiration and support will flow from the history of photography, painting, sculpture, music, literature and philosophy, as we form a deeper understanding of how pictures capture ‘hearts and minds’ while trading in ‘secrets and mysteries’ beyond our immediate understanding. We will learn from other artists and their production methods, artist statements, finished works of art. and historical circumstances what is required in order to convey significant and lasting impressions, not just through your pictures, but also to your artistic confidence. You will photograph in pristine environments, process and edit your files with fully colour managed professional workflows, and make prints of the highest quality with the most beautiful papers and profiles available. Our chefs and support staff will take care of everything else, so all you have to work on is refining and extending your photography, and thereby change not only your relationship to your ‘hardware and software’, but even more significantly, take your pictures and yourself to that ‘next level and beyond’. Highlights of the workshop include formal presentations, small group tutorials, extensive one to one consultations and opportunities to practice and consolidate what you learn in a supportive and supervised environment. This is an ambitious workshop that I couldn’t imagine presenting without my 30 years’ experience of doing this day in and day out for generations of undergraduate and post graduate fine art and media arts students. I also couldn’t imagine doing this without over a decade’s experience running our annual Orpheus Island residential workshop. And I also couldn’t imagine d0ing this without the incredible talent and support of my co-presenters, tutors, organisers, sponsors and friends who have encouraged me to dedicate a workshop to ‘going to the next level and beyond’. And this is that workshop. The cost includes share accommodation and all meals at the DRO, all photographic materials, plus coach transport to and from Cairns. The only additional costs are travel to Cairns and possible overnight accommodation in Cairns depending on your flight times and /or other travel arrangements. There is also a small fee if you wish to use the DRO crane to access the rainforest canopy with sweeping views over Cape Tribulation and Mount Sorrow. Not a member of our Facebook page yet? You are encouraged to join - this is the place to get lots of tips, advice and help, to see what other members are up to and be able to stay in touch between meetings. This is an all digital exhibition with entries to be submitted online via the exhibition website.
" Seeing in 6's ". As discussed , you will be presenting 6 prints on a board no bigger than 500mm x 500mm in size that are cohesive or tell a story. They can be either monochrome or colour or a mix of both and can be different sizes. You can submit 2 sets of prints and critique night will be Monday August 13. We will have "Seeing in 6's " books at each meeting for you to peruse for inspiration. For any more information speak to Peter, Bill, Brian or Mark at any meeting. 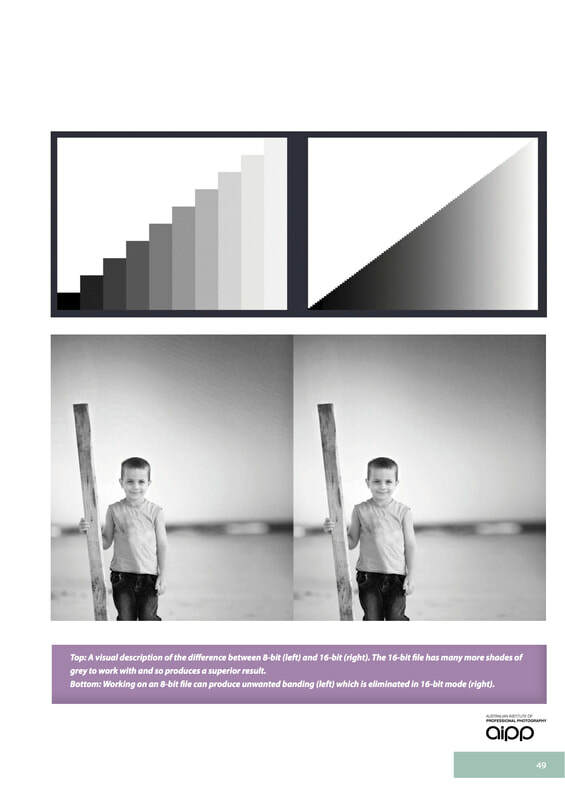 The first desktop photo enhancing software that uses the power of Artificial Intelligence to automatically restore detail and remove image noise. Topaz Labs releases AI Clear™ in Topaz Studio™ that removes noise and sharpens detail in photos automatically. It is the first software that uses artificial intelligence (deep-learning) based noise reduction technology for photos and runs directly on Windows and Mac. Topaz Labs LLC is a privately owned company in Dallas, Texas. Our mission is to bring state-of-the-art technology and creative effects to photography professionals and consumers. We're delighted to announce our annual photo competition, the 2018 Photographer of the Year, is now open for entries. The biggest competition for amateur photographers in the Southern hemisphere, winners and runners up in the 2018 Photographer of the Year will share in more than $45,000 in cash and prizes. For the first time, seven of our category winners, and our overall winner will be flown to Sydney for a special weekend photography experience with landscape photography icon Ken Duncan, thanks to sponsors Panasonic. 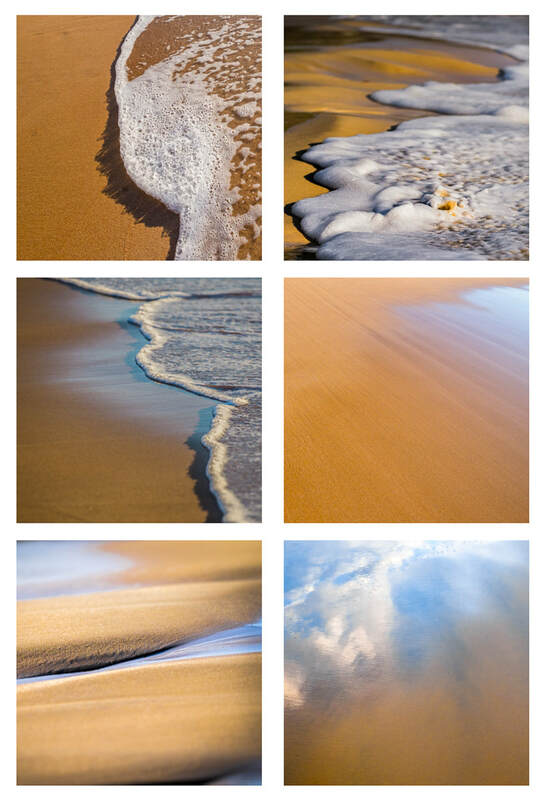 Winners will meet Ken at his Gallery in Erina, and join him for two days of amazing shooting on the Central Coast, NSW. We also have amazing prizes, including a Panasonic G9 kit worth $3,500, a photo tour valued at $7,000 thanks to World Photo Adventures, an image editing monitor valued at $1,649 thanks to EIZO, a $1,000 voucher thanks to Camerahouse, a DJI Osmo valued at $649 thanks to DJI, more than $650 of storage gear thanks to WD, SSD and SD storage valued at more than $500 thanks to Sandisk, and a one-on-one session with photo mentor and judge Sally Brownbill worth $750. Add in the more than $10,000 in cash for our winners and runners up, and the prize pool is the largest we've ever offered. You can see all the category prizes on our competition page. For 2018, we are offering a new portfolio category, Aerial. We're looking for the best images taken from an elevated position, whether that be from a building, a drone or a plane. All our other categories, including People and Portrait, Travel, Black and White, Landscape, Wildlife and Nature, Junior and Photo of the Year are back for 2018. We're also hosting Photographer of the Year instameets in Sydney, Brisbane and Melbourne with Panasonic in June, August and October. The instameets are free to attend, all are welcome and there are prizes to be won. Come along and meet the Australian Photography and Panasonic teams, try out the latest Panasonic Lumix DC-G9 and you’ll also have the chance to meet one of our Photographer of the Year judges. You can register for these here. Our winners will be chosen by a panel of professional photographers, which will be announced shortly. Pre-earlybird entries are open now. You can enter the competition here. 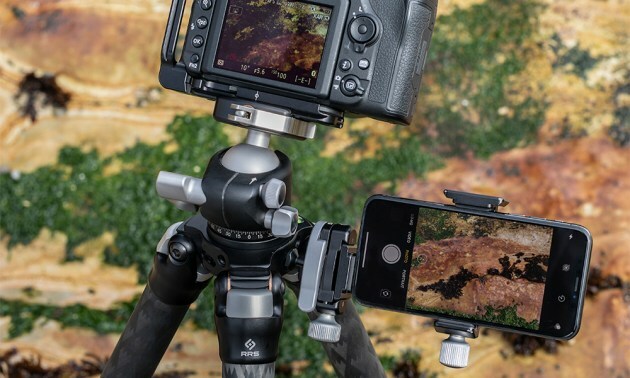 Winner of the Lucie Technical Awards Tripod of the Year, British Tripod Manufacturer, 3 Legged Thing, announces the release of two new monopods, and a rugged foot stabilizer. Complementing their highly-acclaimed range of tripods and accessories, and inspired by the Bletchley Codebreakers and 90s industrial metal (there’s a sentence you never thought you’d read), 3 Legged Thing has announced the release of Alan, a rugged carbon fibre professional monopod; Trent, an ultra-tall Punks monopod; and Docz; a foot stabiliser that works with both monopods, and which is also available separately. The perfect blend of size, weight and capability, Alan is built for versatility and resilience. Ideal for action and sports photography and to add stability when creating video footage, Alan has a stored height of 45 cm / 17.5 ”, and is compact enough for transportation in hand luggage. Alan extends to a maximum height of 1.49 m / 58.7 ”. Formed from 8 layers of 100% pure carbon fibre and aircraft grade alloys, ensuring he is both light and incredibly strong, Alan can support a maximum load of 60 kg / 132 lb – almost 100x his own weight! Both ends of the monopod feature dual 1/4”-20 and 3/8”-16 threads allowing Alan to connect to a variety of accessories, and to be used as a camera or microphone boom. The patented Tri-Mount plate has three hollowed spurs for the attachment of accessories, and the unique Big Grip provides maximum grip for security and has deep channels designed to disperse moisture. Punks monopod Trent’s full extended height is over 2 m (80”) making him one of the tallest monopods in the world today. Formed from aircraft-grade magnesium alloy, Trent is both strong vertically, and is capable of lateral loads making him ideal for use as a camera or microphone boom. Trent’s maximum load capability is 30 kg / 66 lb, giving him an impressive load-to-weight ratio of 50:1. Trent features 3 Legged Thing’s unique Bubble Grip technology on the leg locks and column grip. This offers users improved leverage, and maximum grip in inclement weather conditions. Like Alan, Trent also has dual 1/4”-20 and 3/8”-16 threads at either end allowing for use with a variety of accessories. Both Alan and Trent have a detachable rubber Boot at the bottom, which can be replaced with any of 3 Legged Thing’s footwear – Heelz, Stilettoz, and Clawz – or can be used with the new foot stabiliser Docz. Docz is a rugged foot stabiliser with a 30 cm /12 “ base, designed specifically to add stability to monopods. With an alloy base construction, a rugged ABS top cover and rubber boot adjuster, Docz adds a stable, solid base for monopods with no flexing. The rubber adjuster controls the friction and tension settings on Docz’ ball mount, enabling an ultra-smooth motion for action and sports photography. The ball mount has a 3/8”-16 thread, and can also be locked upright for extra stability. Docz legs can be folded upwards, creating a more compact footprint for transportation. Don't forget - Momento offer a 30% discount to our financial members off their first order then all subsequent orders will receive an automatic 10% discount. Hop over to ​http://www.momentopro.com.au/ to sign up. Other bits and pieces which should be of interest. www.beckhamdigital.com.au (go to more , then newsletter) for some awesome tuitions. Thanks Alan for this one! Just click on the links or google any of the above for more information. Other items of interest are also being posted directly to our Facebook page, so please like us and share with your friends. 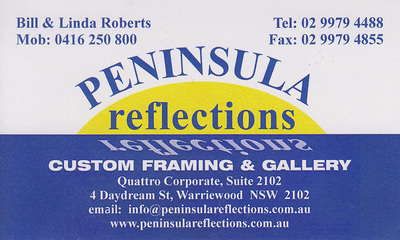 If you have any items of interest that you would like to share with your fellow members please email Bill at bill@peninsulareflections.com.au.